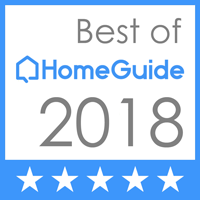 Voted the 2015 Best of Frederick for Heating & Air Conditioning service, Holtzople of Frederick, MD, is a division of Holtzople’s Incorporated, a family owned-and-operated HVAC contractor business for over 30 years. Under the seasoned leadership of owners Jerred and Vicki Holtzople, customers enjoy unmatched quality and service within their local heating and cooling communities of Frederick, MD as well as central Maryland, Gettysburg, PA and southern Pennsylvania. As a top, local HVAC service company, Holtzople carries top brands such as Trane, Lennox, Carrier, Bryant, ClimateMaster geothermal, Rheem, Ruud, and many more. Let us know what you thought of your recent service. As a thank-you for your time in telling us how you feel, each month we randomly select one review and send them a $100 Visa gift card! Learn about our Maintenance Agreements & service! Our regular HVAC maintenance agreements provide peace of mind while our 24-hour emergency service helps with those tough, unplanned times. Get a FREE HVAC Diagnosis for new Preventive Maintenance Agreement customers! Get your diagnostic fee waived when you sign up to be a Holtzople Preventative Maintenance customer. A Holtzople planned service agreement helps avoid system failures, and it protects the life of your equipment. Receive priority service, at the best possible rate–even during the coldest times and hottest seasons!